Produced by PLAYLINK, a registered charity which assists local communities to create adventure playgrounds for children. Established in 1962, PLAYLINK is recognised as the national authority on good practice for play provision of this type. 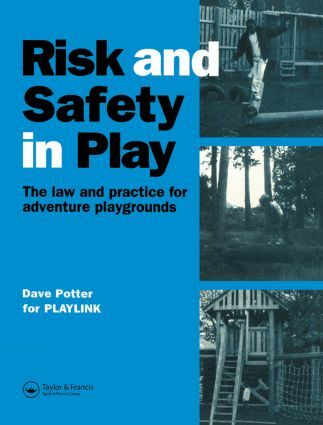 This essential handbook draws on PLAYLINK's 35 years experience with adventure playgrounds, introduces recent changes to legislation and gives guidance on the interpretation of legal responsibilities. It is intende for all those working as play officers, playworkers, playground designers or consultants in supervised play provision, legal advisers and regulatory authorities. It will also be of interst to anyone involved in leisure and recreation management and the design and construction of sports facilities.